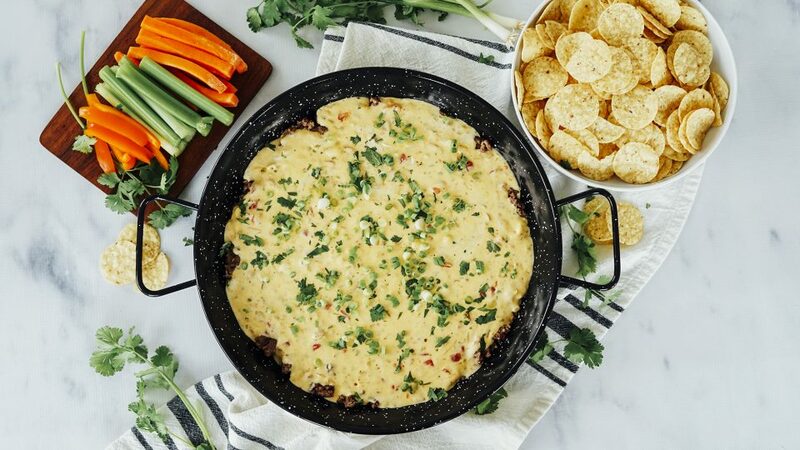 Chili Queso Dip Recipe with Ranch Veggie Dip | What's for Dinner? Game on! 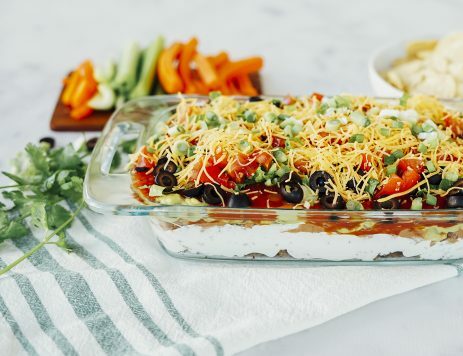 You’ll win big at your next party or tailgate when you serve this easy-to-prepare crowd-pleaser: Chili Queso Dip, made with Marzetti® Ranch Veggie Dip. Heat oil in a medium skillet over medium high heat. Add ground beef and break up with a spoon to brown on all sides, about 5 to 7 minutes. Season with salt and pepper. Scrape into serving dish, leaving any rendered fat in the pan, and set aside. Lower heat to medium and add onion and jalapeno to the pan. Cook until softened, about 5 minutes. Season with salt and pepper. Add cumin and stir to cook until fragrant, about 30 seconds. Add diced tomatoes and stir to combine. Add veggie dip, milk, and cheddar cheese to the pan. Stir everything together and cook over medium heat until melted about 5 minutes. Pour cheese mixture over beef in serving bowl. Sprinkle green onions and cilantro on top. 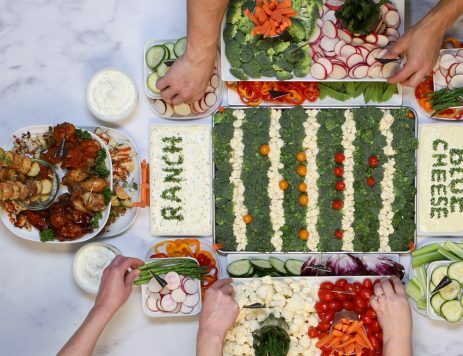 Serve with cut vegetables and corn chips.